David is a former member of New York Aikikai and is an active member of the United States Aikido Federation (USAF) for more than 20 years. He has trained with many original uchideshi’s (direct students of O’Sensei): Yoshimitsu Yamada, Seiichi Sugano, Mitsunari Kanai and Kazuo Chiba Shihans. Christian Tissier, Hayato Osawa, and Donovan Waite Senseis also have had a strong influence on his aikido development. Iaido, the art of drawing the sword, is an integral part of his martial arts training. Gabi started her aikido training in 1997 first under Kazuo Chiba Sensei Shihan and since 2010 under Yoshimitsu Yamada Shihan and his long-term senior students. Morihiro Saito, Katsuaki Asai and Christian Tissier Shihans have also played a role in her aikido teaching. 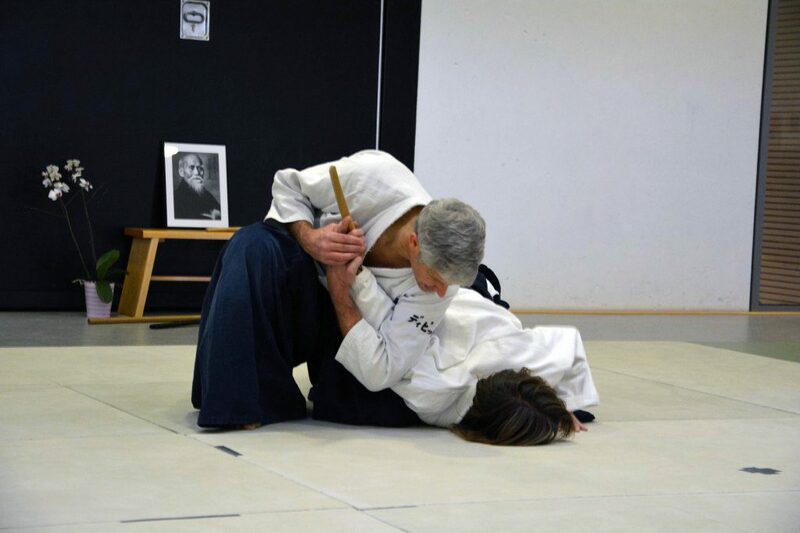 Gabi is a practioner of Iaido and incorporates Iaido into her aikido training.